Let’s face it keeping up with the “green movement” is not easy especially when replacing your tile floors. However with companies like Refin Ceramiche and new product like Eco-Leader and X-Stone, the search just became a whole lot easier. 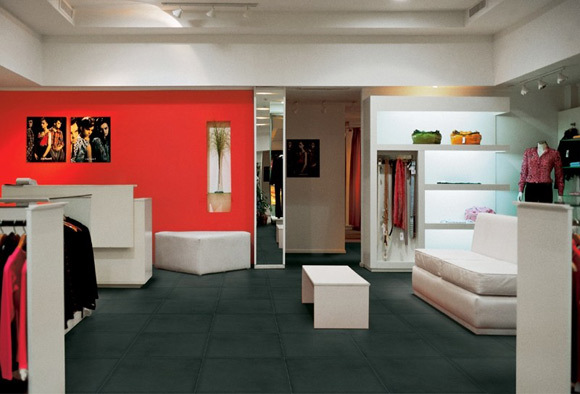 Eco-leader is a color-body porcelain tile; manufactured using 40% pre-consumer recycled material. It is this 40% recycle content which enables Eco-Leader to meet the requirements for LEED (Leadership in Energy and Environmental Design) certification, the most important and strict American certification for conservation of energy and the environment. Although many have tried, Refin is the first Italian factory to create a tile awarded LEED certification. It is this first step–and Refin’s commitment to their mission of becoming a forerunner of environmental policies through conscious consumption and production–which sets them apart from other tile manufacturers. Eco-Leader comes in four sizes and colorways, each taken from Mother Nature’s color book; Sand, Ink, Ground and Stone.